Ohara Davies: People seem to have forgotten I actually know how to fight! 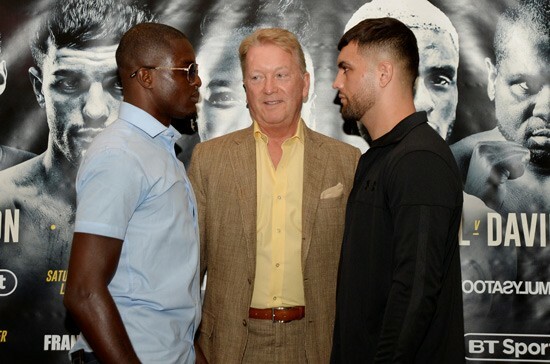 Ohara Davies has issued a gentle reminder that his boxing ability will be doing all the talking, instead of his mouth, in his eagerly anticipated domestic showdown with Chorley fighter Jack Catterall on October 6th. Verbal outbursts have been a regular occurrence by Davies (18-1) in the past, but the super lightweight has reiterated his intentions to keep things civil with Catterall (22-0) and has so far kept to his word. “A lot of people seem to think I got here to the big stage because I talk trash. Yes, I know how to draw a crowd and I don’t care about getting booed. Davies previously fought at Elland Road on the undercard of Josh Warrington’s world title triumph against Lee Selby back in May where he impressively knocked out Paul Kamanga with a single punch in the second round of their contest.